Doctor of Nursing Practice students Rebecca Carden and Jennifer Scanlon attended the American Association of Colleges of Nursing Student Policy Summit March 23-25. The three-day conference held in Washington, D.C. immerses students in didactic program sessions focused on the federal policy process and nursing’s role in professional advocacy. 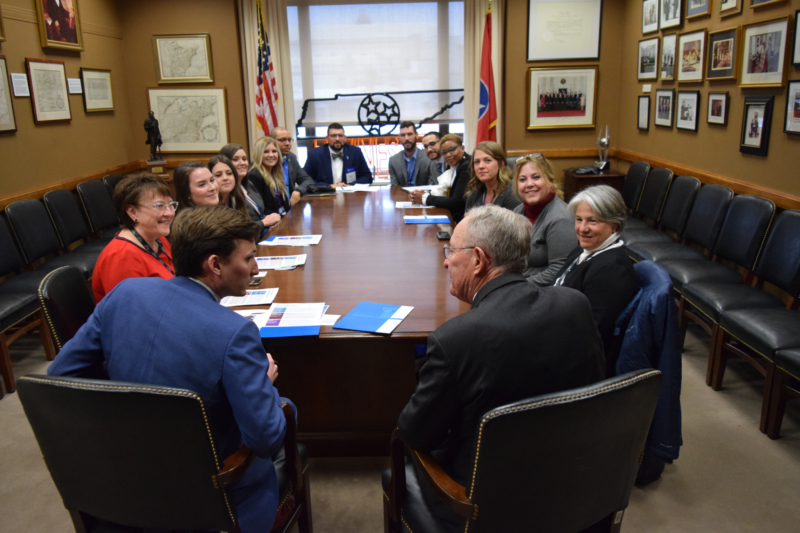 On Monday, students joined a delegation of nursing deans and directors from Tennessee, led by Associate Dean of Nursing Dr. Martha Buckner, to visit the senate office staff of both Senator Lamar Alexander and Senator Marsha Blackburn. Senator Alexander was able to join the group to discuss the importance of funding for nursing education and workforce initiatives.